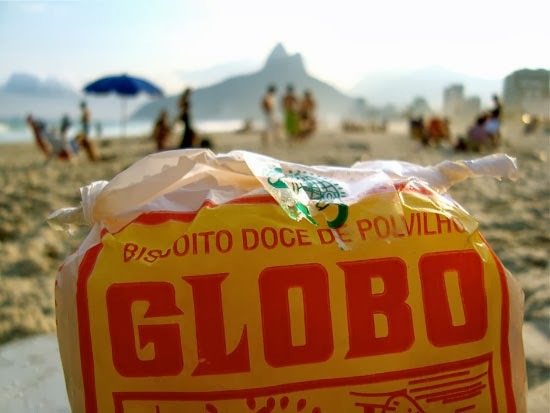 Don't tell the Cariocas but the much loved, iconic and super famous Biscoito Globo is actually originally from São Paulo. It's a little known fact but the story goes like this. Back in 1953 three brothers from a São Paulo family left their parental home after a bitter separation and went to live with their cousin in the Ipiranga neighbourhood. 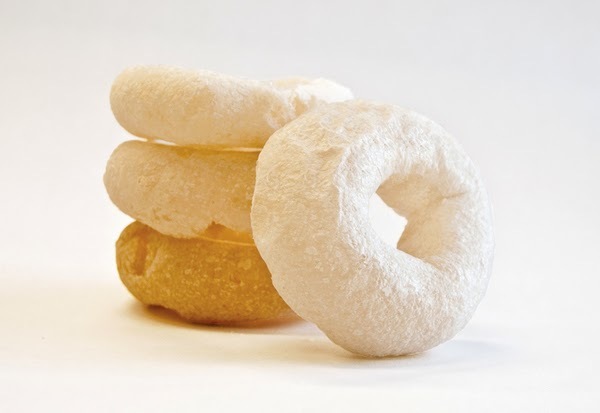 Milton, Jaime and João Ponce's cousin owned a local bakery so amongst other recipes they learned to make biscoitos de polvilho (manioc starch flour biscuits). A year later in 1954 Rio de Janeiro hosted a large religious gathering and, sensing an opportunity, the Ponce brothers decided to travel to Rio to sell biscoitos in the capital of the neighbouring state. They were a huge success. So much so, that the Ponces decided to move to Rio where they were "discovered" by the Globo bakery in Botafogo. And the rest, as they say, is history. There are now two variants, the traditional savoury one and the sweet one distinguished by the colour of the packaging (green for savoury and red for sweet) so as to help non-literate street sellers tell the difference. And to this day 150,000 Biscoito Globos are churned out on a daily basis and every single one of them still comes from a single factory in Rio. The first biscoito, however, came from São Paulo.. I had no idea the biscoito is from SP! Love it! Tks for letting me (us) know! is it related to the rede globo? 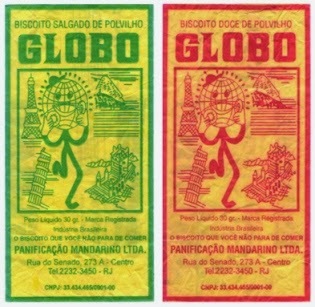 I saw a post on wikipedia saying that rede globo also made those products,too? I have never heard that before. I think it is a coincidence that they have the same name. Nice one Erick. The link is a satirical encyclopedia we have over here, quite funny if you speak portuguese! 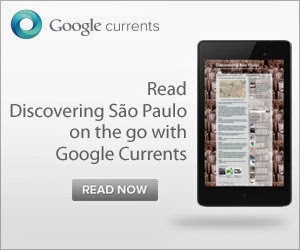 You should definitely schedue a visit to Brazil some time, it's a great place. I would certainly visit Brazil if only it got rid of its unnecessary (apolitically speaking) visa reciprocity..
Due to delicate tastbuds, Brazilians eat this tasteless baked school paste and call it food.